Earlier in the summer we wrote an article positing that the coffee industry had made a mistake linking the price of a cup of coffee with the perceived cost of coffee beans and espresso machines. Many baristas liked it and it sparked conversation about how the industry could add greater value to specialty coffee. Others, however, have communicated their reluctance to charge more for a cup fearing that they might loose customers or reduce accessibility. We can appreciate those concerns, so before exploring ways to charge more in future articles, we’ve taken a side-step to see what alternatives there are. 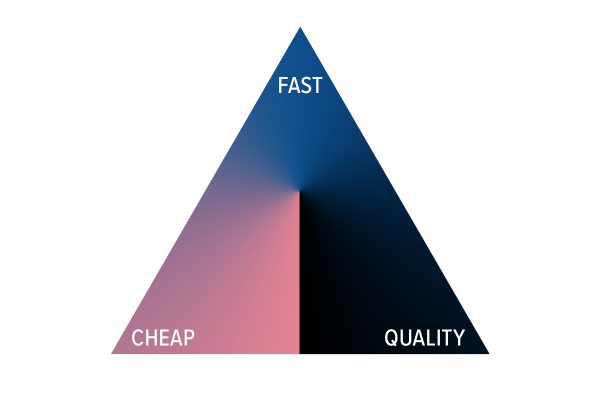 You can have it fast, cheap, or high quality – but you can only pick two. 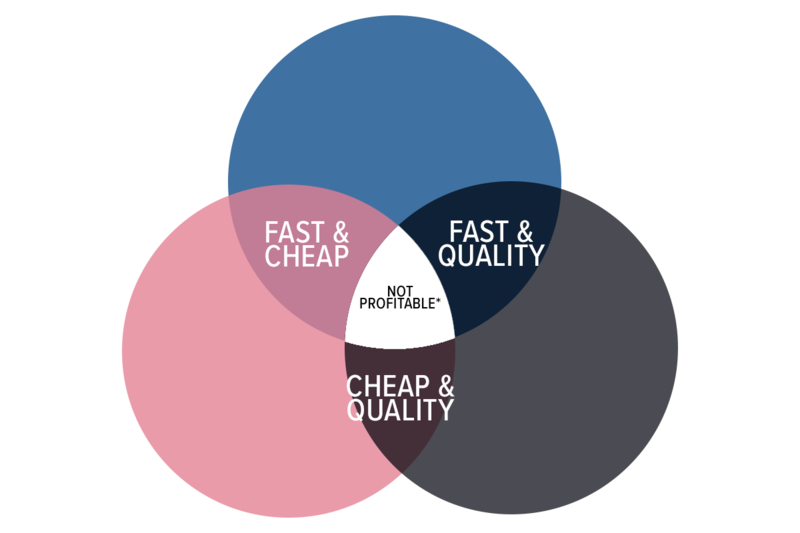 The concept is that there is a tension between speed, cost and quality, and that it is difficult – nay, almost impossible – to reconcile this tension. 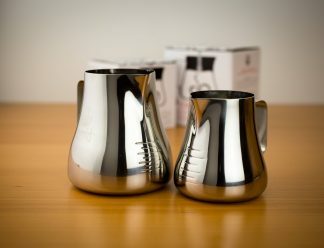 Many cheaper coffee machines struggle to achieve the desired quality for many specialty coffee businesses. They are also no faster. So when buying a new machine, the decision is based on finding an appropriate compromise between these factors. If you take all the available hospitality equipment, most specialty coffee shops prioritise quality when choosing an espresso machine and price or speed when choosing a dishwasher – with the remaining factors playing secondary and tertiary importance. We are now about to get a wave of emails from coffee equipment manufacturers telling us that their new machine is faster, cheaper and of better quality. And it may well be, but it still won’t be the holy trinity of all three. Because of this, coffee equipment manufacturers position their products and brands by prioritising one or two of these factors – and the market segments around them. That is, no one product (or even a brand) serves all tiers of the coffee industry. This is completely normal, and similar segmentation occurs in cars, electronics and most other things we consume. Over time things change. With each new product launch we move closer to a coffee machine that is fast, cheap, and of quality. But also over time our perception and judgement changes. Take PIDs, for example. For a small cost, they have significantly increased quality with no impediment to speed. PIDs were at first an aftermarket extra, now they are so widely implemented that they barely make the features list for many commercial espresso machines. Furthermore, when choosing equipment, we now judge equipment using the standards of quality, price and speed that this technological improvement set. While often innovations are technological, it’s important to note that they can also be financial, changes in the supply chain, as a result of restructuring operations, the creation of a new business model etc. Redroaster in Brighton. 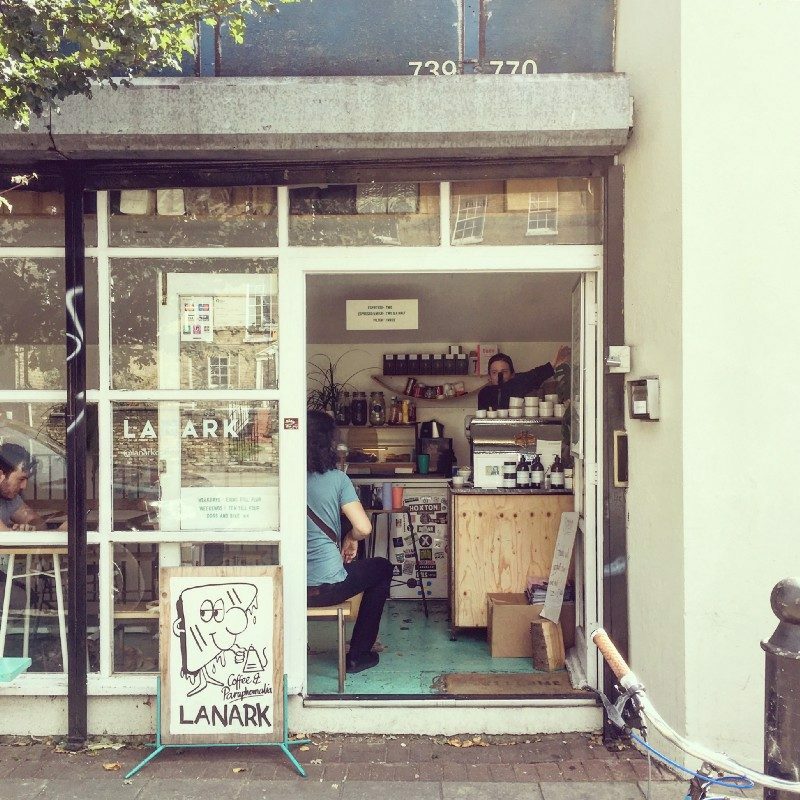 Is this one of the UK’s most beautiful coffee shops? Cheaper coffee usually comes at the expense of quality. Fast and cheap coffee can go together in some scenarios (thinking of some vending machines) but this often not financially possible with specialty coffee’s ingredient and capex costs, particularly in shops with counter and floor staff. The iron triangle concept is constrained on this point by government legislation. Cup prices don’t have any real room to decrease as their price is largely set by costs of staffing, to which the minimum wage currently sets a floor of £7.50 per hour. So it’s difficult to imagine a scenario where the cup price of specialty coffee goes down. 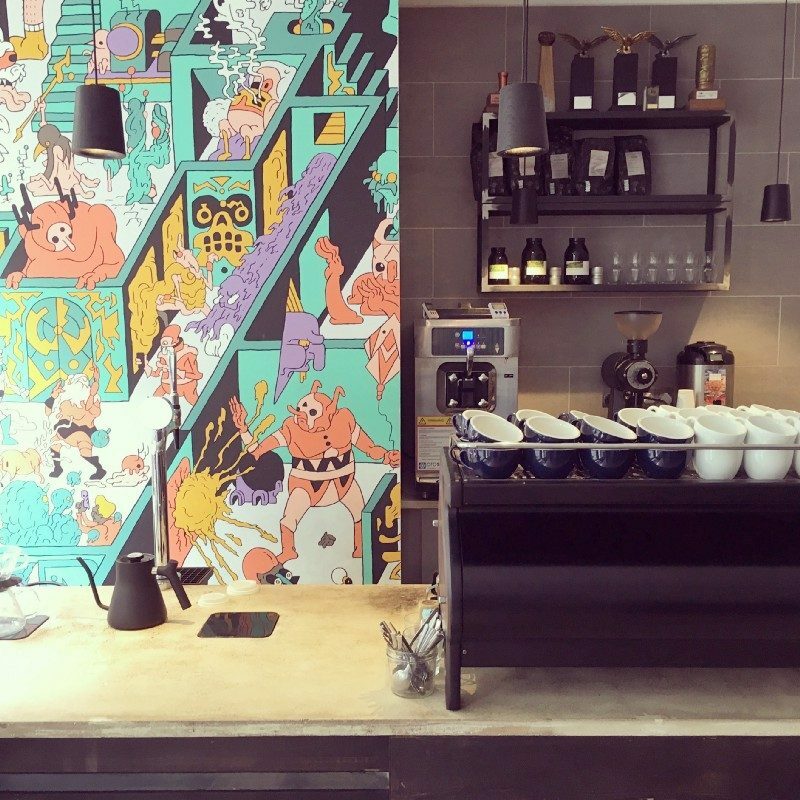 Origin Coffee in Shoreditch has a customised black La Marzocco Strada. The shop is partly a showcase for their wholesale clients. Now businesses need to offer a proposition that is some combination of perceived greater quality, faster or cheaper than their competitors. And businesses often thrive when they work out how to offer two of these factors. Many coffee shop make the mistake of offering all three. If you do, the resources required to deliver this proposition will eat up your profit. And this is pretty much where a good portion of the industry is right now. It is, of course, competition that has got us to this point, but we’re not sure that it is market competition. 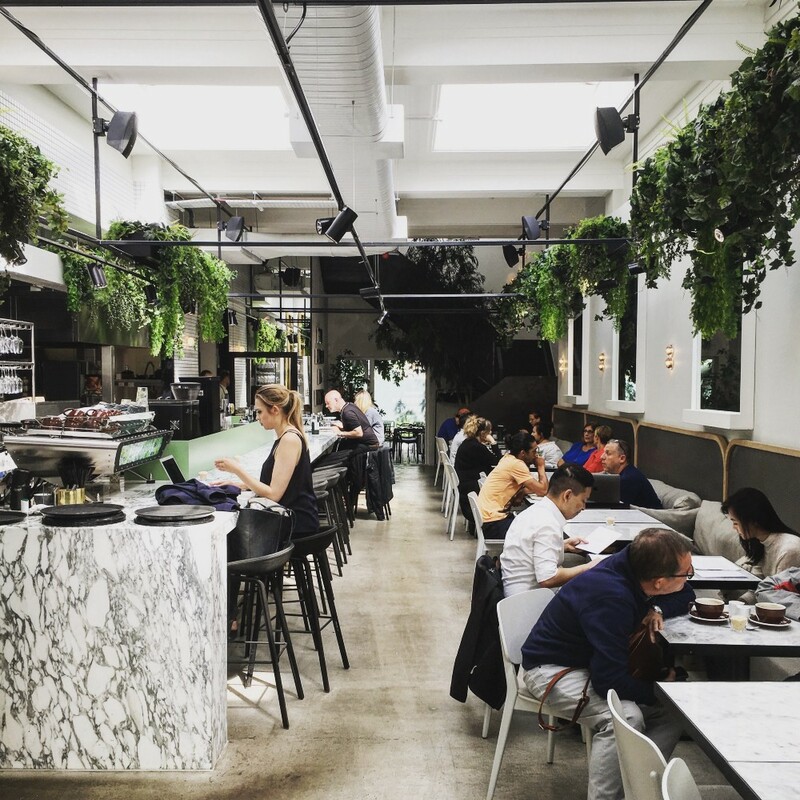 Opening a coffee shop has relatively low barriers to entry, so many people have been able to do it. Unfortunately a large number of new proprietors seem to have taken an approach of, “They look busy, I’ll do the same, but sell it a little cheaper”. The same applies to roasters. This is not a good business strategy, and we hope that we’ve now got past this point. There is currently some discussion about whether the market is large enough to support the number of coffee shops and roasters currently operating in the UK. Nobody has the data necessary to be sure, so I wouldn’t trust the chitter-chatter on this matter. But it does seem highly likely that for all these businesses to survive, and even thrive, they are going to have to focus on distinct market niches. We’ve written this post because it is our current estimation that key constraint to price increases exists inside the competitive culture that exists within the coffee community — not consumers’ willingness or ability to pay. When a business starts buying cheaper coffee the industry rumour-mill starts and an opinion emerges that the establishment is going downhill. The fundamental measure is, of course, whether the quality and pricing is right for their customers, not the industry’s baristas. Or, when establishments raise prices, other proprietors start making comments like, “I can’t believe that get away with charging that much for x’. The appropriate response ought to be a re-evaluation of what the market will yield. And, when a shop pushes upmarket there is often implied criticism that they think too highly of themselves or an assertion that carries a moral dimension that they lack ‘ accessibility’. Obviously, we should all be working out how to charge our respective customers more almost all the time. 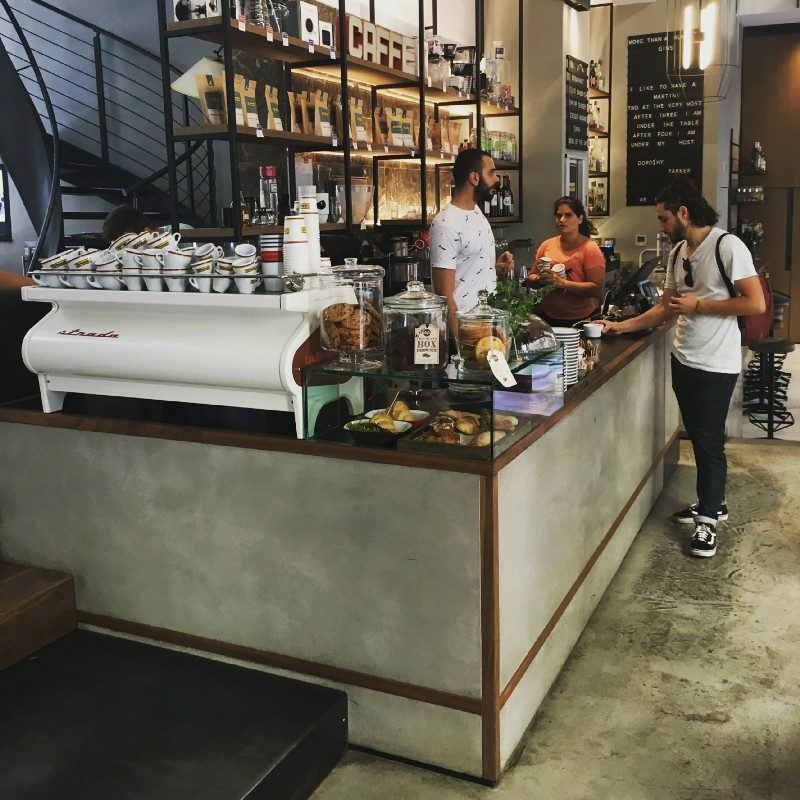 Cheaper rents and different planning laws have allowed continental coffee businesses to more readily explore a variety of retail formats, like Ditta Artigianale in Florence. Just because we all share the same ‘specialty’ label it doesn’t mean we need to share the same proposition, or customers. In fact, when your competitor nudges their business towards one of these niches, it presents an opportunity for you to (rather than criticising them) push in a different direction. When this happens, businesses can stop fighting for the same customers and hone their operations and proposition to serve a niche of customers more profitably. This is why we continue to have high hopes for the future of specialty coffee, and are happy that the industry is increasingly becoming a big tent that includes all sorts and styles of coffee businesses. * We wrote a draft section on the place of, that horribly overused word, ‘disruption’. Since this post was already running too long and the investment and experience required to disrupt the coffee industry is a tier too high for many coffee businesses, let us just say it is possible to disrupt the industry with a fast, cheap and quality proposition. If you really want to do this, then don’t let us stand in your way, however, whether it’d be financially worthwhile and provide a sustainable comparative advantage are two separate, but very important, questions. Next post: Why Do Coffee Prices Fluctuate?